We have dozens of olympic bars for sale. Pretty much every size and type of olympic bar you’ve seen anywhere. Most of our straight bars are made by Troy Barbell, York Barbell and CAP Barbell, leading manufacturers that produce high quality bars. These straight bars can be used for exercises like bench presses, squats, daadlifts, and many other weight training exercises. Some come in short 5ft lengths, useful for a low starting weight for women or kids, or for fitting on a bench with a narrow rack. The strongest olympic bars are some of the York and CAP power bars. 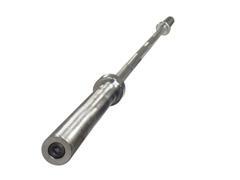 These are marked in the product title as having a high tensile strength of 190,000 PSI or higher. You can do a lot to these bars, and they’ll take the punishment without complaint. They also come with a generous warranty period for something that is going to get banged around as much as a bar, especially in a commercial environment, so you know they’re serious about making good bars. Similar looking to powerlifting bars at first glance, olympic weightlifting bars are finely tuned to facilitate the dynamic olympic lifting movements. They have more whip, they’re thinner, the sleeves spin better, and the knurling isn’t as intense. These economy bars are the ones that come in a typical starter 300lb olympic weight set. They’re not that bad, but not that good. If you haven’t used a better one, you won’t know what you’re missing, so go ahead and live it up. 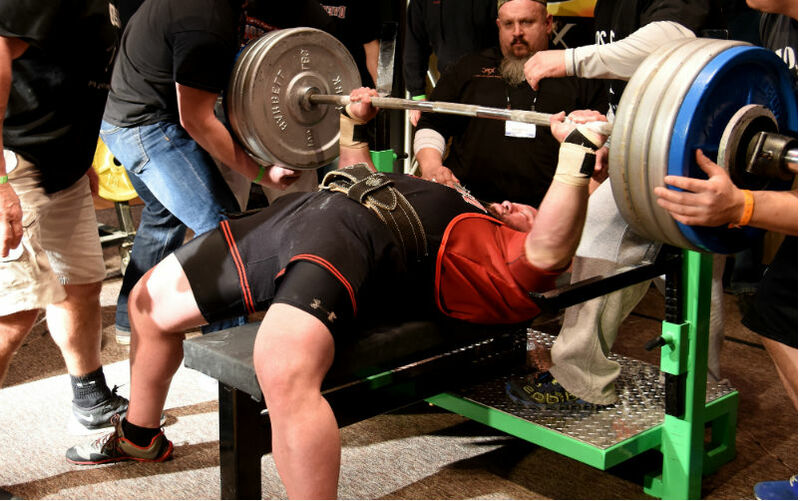 Ever heard of a fat bar, or axle bar? They’re extremely thick with a 2 inch grip. Using one of these is a whole different world from a regular olympic bar with, at the very most, a 1 1/4 inch thick grip. The thickness of the bar works your forearms more, as you’re able to grip the bar with a more natural and full grip, whereas other olympic bars are kind of cradled between your thumb and forefinger and don’t encourage you to grip it tightly. We also have a short 5ft version if you don’t need the full 7ft length and don’t mind saving some money. Most fat bars come with specialty collars. This is because the ends are actually a little thinner than regular solid bars, and the collars you use on other bars won’t fit tightly enough. The pipes used for fat bars are 1.90″ outside diameter, compared to the 1.96″ (50mm) diameter of solid bars. The extra millimeter is enough to make a difference when you need them tight. Dumbbell bars are always useful, too. Nice and strong, our dumbbell bars (also called dumbbell handles) will last a long time and can be loaded to about 110 lbs per bar using the thinnest 10 lb weight plates, with 5 plates on each side. The bar itself weights 10 lbs. That number of plates will still leave 2 inches of room for collars. Other plates will fit fine, but you won’t get quite as many to fit if you want to max it out. Trap bars, or hex bars, are a special design shaped for a sort of deadlift-style squat. 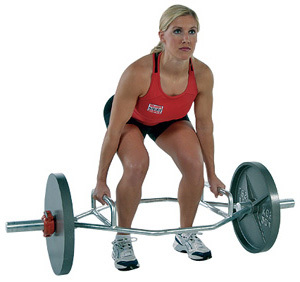 You pick up the bar from the floor as in a deadlift, but the mechanics of the lift resemble a squat more, because with the handles on either side of you the center of weight is more in line with your body and not forward the way a straight bar would be where you need to pick it up in front of your body. It’s a popular exercise and pretty easy to do with decent form. A straight bar deadlift requires a bit more practice or technique. And as the name suggests, they are often used to work the trap muscles with the shrug exercise. The traps are the muscles extending between your shoulder bone, kind of parallel to your collar bone, and they allow you to shrug your shoulders. Curl bars and tricep bars are some of the most popular olympic bars for sale. Curl bars are shaped the way they are to alleviate stress on your wrists. You can do curls with a straight bar, but you might find that the movement is more natural with the hand placement on a curl bar, the way you don’t have to have your palms facing straight up. Tricep bars are built with the same kind of thing in mind. Tricep bars let you grip the bar with palms facing each other, which is the best position for doing tricep extensions with a full range of motion. 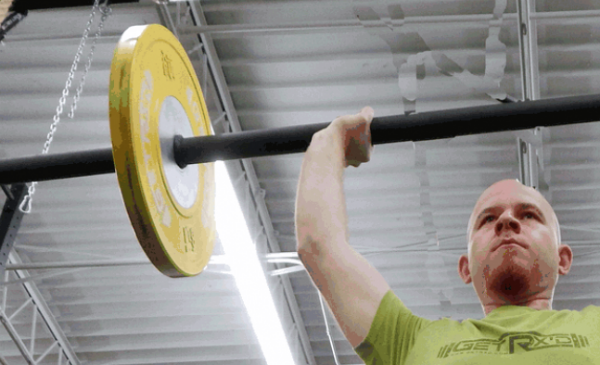 Safety squat bars are an alternative squat bar for people with shoulder mobility issues. You can grip with your hands out in front of your shoulders instead of out to the side. Growing in popularity is the bamboo bar, which wobbles like crazy as you try to stabilize it while lifting. It helps your stabilization muscles that you wouldn’t normally work so hard as you do any normal lifts like bench presses.